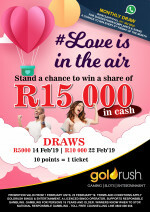 Reward yourself this Valentine’s Month, YOU stand a chance at WINNING a share of R15 000 in CASH. Have you joined the Loyalty Programme yet offering you exclusive benefits, rewards and preferential treatment? 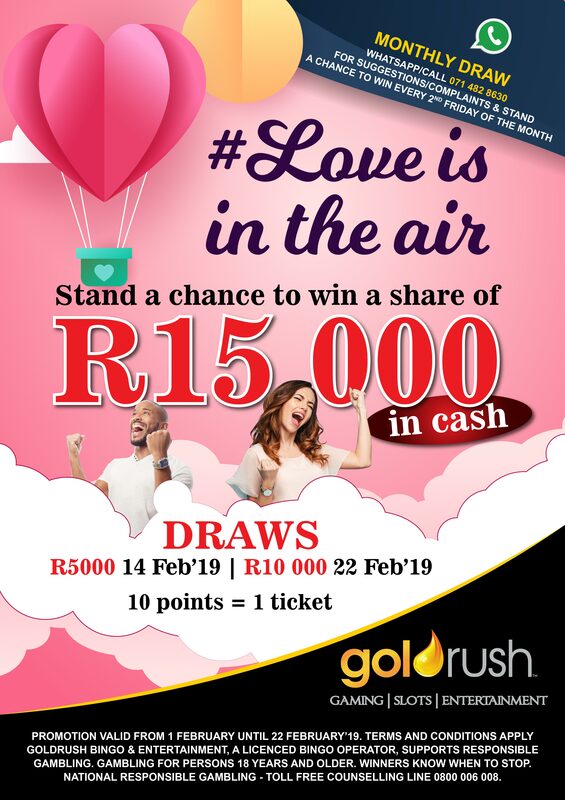 It is easy to join and FREE of charge to become a Gold Loyalty Card Holder at Goldrush, open 7 days a week from 09h00 till LATE!